Naramata, BC – The Regional District of Okanagan-Similkameen (RDOS) retained Ecora Engineering & Resource Group Ltd. (Ecora) to perform a detailed engineered design, prepare MMCD Tender Documents, perform materials testing & QC/QA, and provide construction services for the Naramata Water System Rehabilitation and Extension Project. 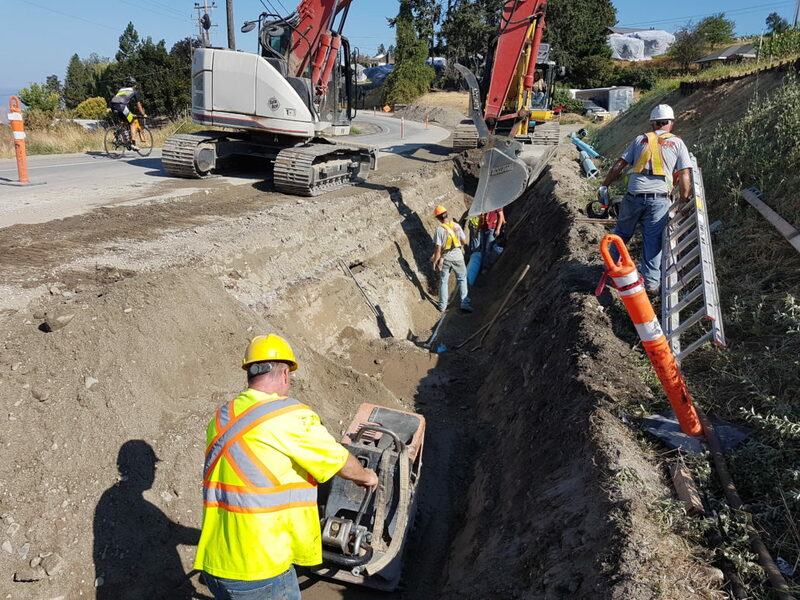 The scope of work included water main replacement on eight different roads in Naramata. 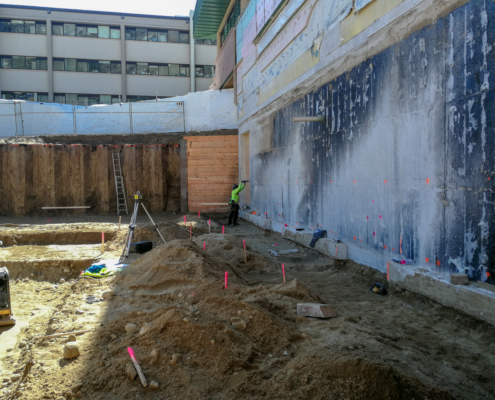 Ecora’s design work included site surveys, base map preparation, modelling and calibration to determine size of new water mains, and fire protection requirements. 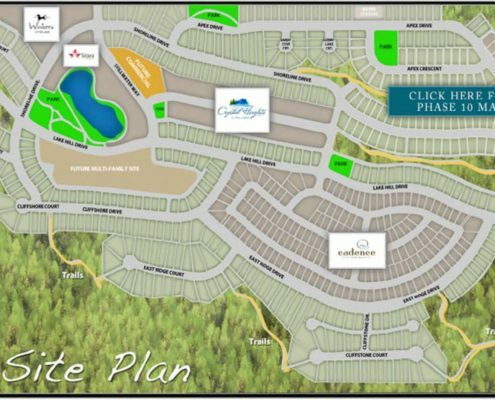 The design development also included correspondence with the Ministry of Transportation and Infrastructure (MOTI) as they are the approving authority for all the proposed road and stormwater improvements. 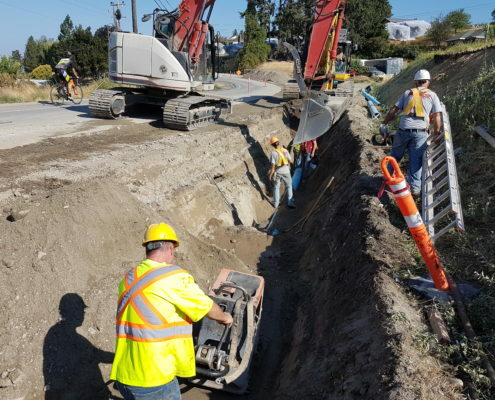 Some interesting features of the design included installation of a new water main inside an old water main, a process called slip lining and/or pipe bursting. Auguring of water services under Naramata Road was also necessary to preserve the asphalt on the west side of road.